Police have released a list of 30 most wanted men in Jamaica. The only surprise is the number is only 30! should be like 1000 most wanted based on the murder tally anyway, this is a good start. Take a look and see if any of your friends or relatives are on it. If they are then do the right thing…………. 1. Nico Walters otherwise called ‘Speckles or Freckles’, whose last known address is Effortville, May Pen, Clarendon. Walters is of brown complexion, medium build and about 170 centimetres (5 feet 7 inches) tall. He also has freckles all over his face. Walters is wanted for a case of shooting with intent in the parish. 2. Sean Robinson otherwise called ‘Monkey Man’, whose last known address is New Town Phase I, Hayes, Clarendon. Robinson is of dark complexion, slim build and about 180 centimetres (5 feet 11 inches) tall. He is wanted for the 2017 murder of Charles Walton, otherwise called ‘Jerky’. 3. Dwayne Butler whose last known address is Farm district, May Pen, Clarendon. Butler is of dark complexion, medium build and about 152 centimetres (5 feet) tall. Butler is wanted for the murder of Amal Walters, otherwise called ‘Peter’, committed in the parish in February 2011. 4. Othniel Smith whose last known address is Four Paths Boulevard, Clarendon. Smith is wanted for the murder of Sylvia Johnson-Smart, committed in the parish in February 2016. 5. Fitzroy Andre Coore, otherwise called ‘Bees’, whose last known address is Alexander Drive, Farm district, Clarendon. Coore is 23-year-old, dark complexion, medium build and is about 170 centimetres (5 feet 7 inches) tall. He is wanted for a case of shooting with intent committed in December 2017. 6. Nigel Abdulla, otherwise called ‘Pete’, who frequents the Wailer’s community of Waterhouse, Exchange, St Ann and Old Harbour, St Catherine. Abdulla is wanted for a case of double shootings committed in August 2013 and the murder of Ramone McCalfie committed in May 2013 in the parish. 7. Huntley Richards, otherwise called ‘Roy or Puppy Jaw’, who frequents Cling -Cling Avenue in Kingston. Richards is wanted for the murder of Wayne Anthony Gardner, committed in May, 2010 in the parish. 8. Horace Christopher Raphael who frequents Unity Lane, Rose Town, Kingston 13. Raphael is wanted for the murder of Constable Kamoi Miller, committed in December 2016 in the parish. 9. Christopher Evans otherwise called ‘Voodo’, who frequents the lower Majesty Gardens community in Kingston 11. Evans is wanted for the murder of Sebert Johnson, committed in September 2016. 10. Rushane Ryan McDonald, otherwise called ‘Randy or Sparks’, whose last known address is Cinnamon Crescent, Kingston 11. McDonald is wanted for the triple murder of Joseph Kelly, Alecia Graham and Nicholas Lindsay, committed in July 2013 in the parish. 11. Akeem Johnson otherwise called ‘Bobo Sparks’, whose last known address is New Nursery, Spanish Town, St Catherine. He is of dark complexion, slim build and is about 163 centimetres (5 feet 4 inches) tall; He has ganja leaves tattooed with ‘666’ written below and sports a low cut hair style. Johnson is wanted for shootings, abduction and robbery and also the murder of Donovan Lawes in December 2016. 12. Alrick Anthony Burke, otherwise called ‘Forward’, whose last known address is Gordon Pen, Spanish Town, St Catherine. He is of dark complexion, medium build and is about 180 centimetres (5 feet 11 inches) tall and has a straight face. He is wanted for the double murder of Tevin Pryce and Dwayne Hall and shooting with intent. 13. Kolanji Tyrell, whose last known address is Bog Walk, St Catherine. He is wanted for murder of Carlton Blake, a quadruple murder and robbery in October 2014. 14. Orean Onieke Thomas, otherwise called ‘Blue’, who is known to frequent Sligoville, St Catherine. He is wanted for the murder of Fernando Porter in April 2015 and is also a person of interest in a murder in Sligoville in 2014. 15. Christopher Pessoa, 22-year-old whose last known address is Tawes Pen, Spanish Town, St Catherine is wanted for murder. He is of brown complexion, slim build and is about 168 centimetres (5 feet 6 inches) tall; he has tattoo with words ‘ETHON’ and a scar from the right side of his face to his mouth. He is wanted for murder of Rohan Williams in May 2016. 16. Anthony Simms, otherwise called ‘Meng’, whose last known address is Westchester Crescent, Westchester, Portmore, St Catherine. He is dark complexion, slim build and has scar above and below left eye. He is wanted for shooting with intent in March 2009. 17. Delroy Smith, 41-year-old, whose last known address is Brown Lane, Central Village, St Catherine. He is wanted for carnal abuse which occurred February 2008. 18. Arbin Shaw, otherwise called ‘Vaugh’, whose last known address is First Avenue, Central Village, St Catherine. He is wanted for carnal abuse in February 2005. 19. Kevin Michael Sawyers, otherwise called ‘Richard Steve Francis’, whose last known address of St Vincent, Caribbean Estate and Patricia Avenue, Bridgeport both in St Catherine. He is wanted for shooting with intent in February 2015. 20. Ian Thomas, otherwise called ‘Scaley’, whose last known address is Gulf, Gregory Park, St Catherine. He is of dark complexion, slim build and is about 180 centimetres (5 feet 11 inches) tall. He is wanted for the triple murder of Nicholas Harris, Paul Parchment and Joel Little in December 2016. 21. Dushane Allen, otherwise called ‘Nigel’, who is known to frequent Greenwich district in Bethel Town, Westmoreland is wanted for three murders of Stephen Hibbert committed on Feburary 24, 2017, Omar Gordon committed July 09, 2017 and Trevon Lewis committed on July 09, 2016. 22. Wesley Cunningham who is known to frequent Bethel Town in Westmoreland is wanted for the double murder ofGarfield Francis, otherwise called, ‘Braun’ and Kenroy Vassell, otherwise called ‘Bash’, committed on July 18, 2017 at Lambs River also in the parish. 23. Burton Shearer, otherwise called ‘Bap’, who is known to frequent Grange Hill in Westmoreland is wanted for the murder of Fabian Cooper, otherwise called ‘Yellow’, that was committed on May 12, 2016 at Church Lincoln, Grange Hill in the parish. 24. Richard Hamilton otherwise called ‘Brutus’, who is known to frequent Paul Island, Grange Hill in Westmoreland, who is also wanted for the double murder of Garfied Francis, otherwise called, ‘Braun’, and Kenroy Vassell, otherwise called ‘Bash’, committed on July 18, 2017 at Lambs River. 25. Garnett Cunningham who is known to frequent Bethel Town in Westmoreland is also wanted for the double murder of Garfied Francis otherwise called ‘Braun’, and Kenroy Vassell otherwise called ‘Bash’, committed on July 18, 2017 at Lambs River in Westmoreland. 26. Haldane Hamilton, otherwise called ‘Fishy’, who is known to frequent, Paul Island in Grange Hill, Westmoreland is wanted for the murder of Steve Spence, otherwise called ‘Iyah’, committed on September 17, 2017 in Paul Island. 27. 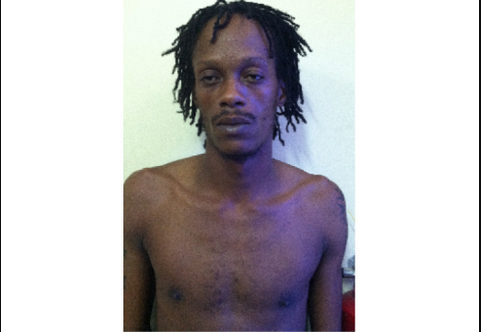 Donavan Roach, otherwise called ‘Tim’, who is known to frequent Bethel Town, Westmoreland. He is wanted for a case of wounding committed on Wednesday June 14, 2017, at Barney Side district, Westmoreland. 28. Steve Vassell, otherwise called ‘Buss Mi’, of Shortwood Road, Kingston 8 and Roaring River in Westmoreland is wanted for murder and Escaping Custody. 29. Isiah Perry or Matthew Perry, otherwised called ‘Cat’, who is known to frequent Kings Valley district, Grange Hill in Westmoreland is wanted for murder. 30. Jeff Elliot of Alma district and Delveland, Westmoreland is wanted for murder. Unfortunately, the photos are far from glamour shots so a lot of them are not clear. they also did not match them with all the names but its still a start. Lawmen are appealing to citizens with information that can assist in the investigations, to contact Crime Stop at 311, the Police 119 emergency number or the nearest Police Station.